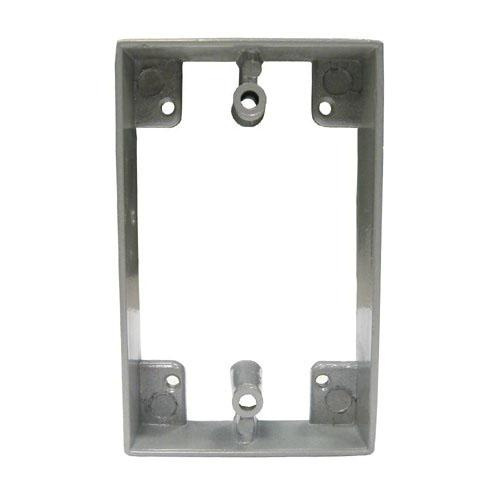 Orbit Industries 1-Gang Rectangle extension ring in gray color, is suitable to use with weather-proof box. It features die-cast copper-free aluminum construction and has powder-coated finish. It measures 2-3/4-Inch x 4-1/2-Inch x 1-Inch. It has 10-Cubic-Inch capacity. Extension ring is cULus listed.